You use your hands every day to do thousands of things, but have you ever wondered why you refer to your fingers by names like "thumb" and "pinky"? The origins of body part names can be hard to pin down because of the way language evolves, but here's what we know about why thumbs are thumbs and why little fingers are pinkies. Different from the other four digits in that it is shorter and wider and only has two phalanges instead of three, the thumb earned its name from a description of its physical characteristics in relation to its neighbors. In medical terminology, the word for thumb is pollex. The term “thumb” was first used before the 12th century and is believed to have come from the Proto-Indo-European term tum, meaning “to swell,” which makes the thumb "the swollen one." There is some debate as to whether the thumb can rightfully be called a finger, but classification aside, the name fits. Next in line after the pollex is the digitus secundus manus. Index comes from the Latin indicō, which means “to point out,” which is also where the term “pointer” comes into play. Although it is the second digit (after the thumb), the index is recognized as the first finger, which explains why “forefinger” is also sometimes used. The second finger (third digit) has the most literal meaning of all. Less commonly referred to as the long or tall finger, the digitus medius manus sits in the center of the hand, right between the digitus secondus manus and the ring finger. How the middle finger became an offensive gesture is another story altogether. Known medically as the digitus medicinalis, digitus quartus manus, or digitus annularis manus, the origin of the term "ring finger" dates back to 2nd century Egypt and has to do with the heart. 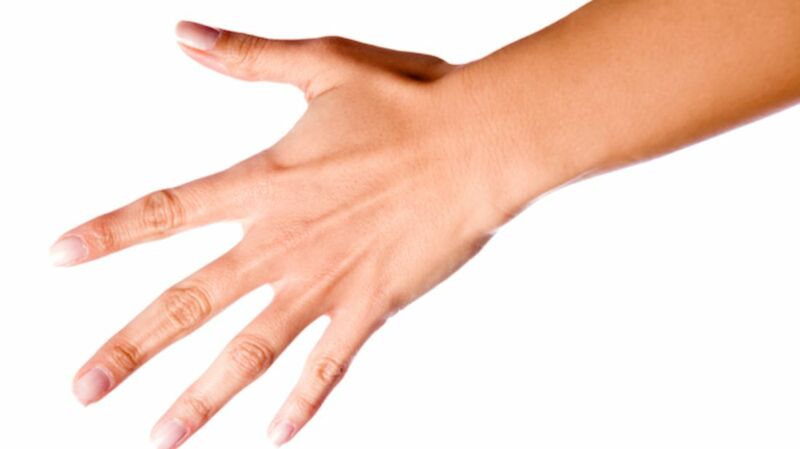 Egyptians believed that there was a vein in the fourth finger, known as the lover's vein, that was connected to the heart, an untrue theory that Romans also came to believe many years later. To signify that a man had a hold of a woman's heart, he would follow the gospel of Beyoncé and put a ring on it, a practice that lives on today. The fifth digit and smallest of the fingers is the digitus minimus manus. According to World Wide Words, pinkie was used by Scots to refer to something small, as explained in An Etymological Dictionary of the Scottish Language by John Jamieson, published in 1808. The term comes from the Dutch pink, meaning "small." Jamieson writes that "to pink" means to "contract the eye," and the adjective pinkie is "applied to the eye, when small, or contracted." The Collins Dictionary lists the origin of a related word, "pinkeye," to the Dutch pinck oogen, which also appears in Jamieson's dictionary entry for pink and translates to "small eyes."